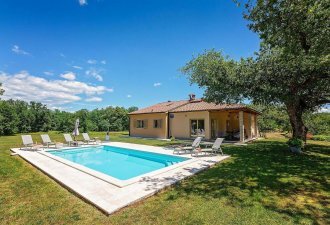 Casa Gianni is a traditional Istrian terraced house, built in 1930 and completely renovated in 2010 with great care and love, so it retains its original appearance. 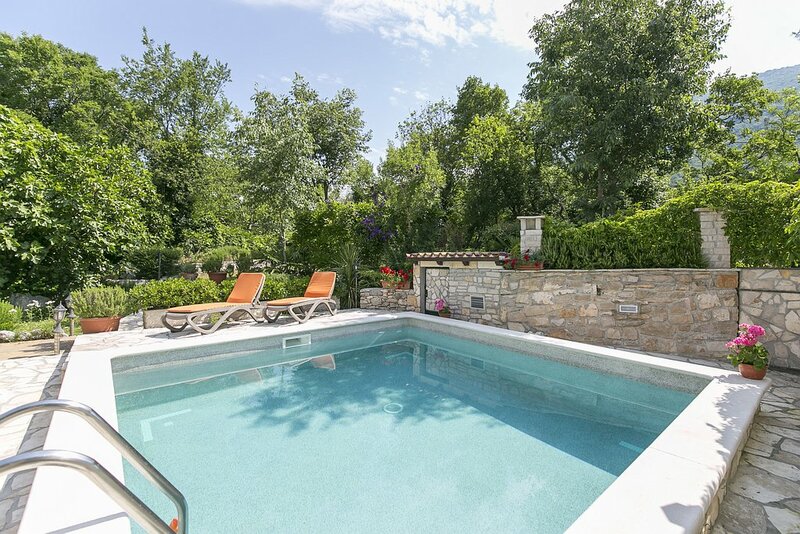 On 500 sqm of land at guest’s disposal is an outdoor pool, spacious covered terrace with barbecue and bread oven, sun loungers, garden and two parking spaces. Only 100 m from the house there is a restaurant which offers homemade specialties, the nearest shop is at300 m and the beach 3.5 km away. Holiday house for 6-7 people on three floors. On the ground floor there is a separate living room with fireplace, kitchen and dining room with an exit to the terrace and to the pool, a shower /toilet. On the first floor there is a bedroom with double bed and shower / toilet, a bedroom with double bed, extra bed and shower / toilet. In the attic there is one more bedroom with separate beds and shower / toilet; this room is air-conditioned.